Olivia Cleans Green: Do You Take a Day Off for Your Period? I usually take off at least one day, but not by choice (I get terrible cramps and nausea) and not without a heavy dose of guilt and worthless attempts at working from bed or the couch. I can't imagine what life would be like if I felt fine and took a day off anyhow. The world wouldn't stop turning? I'd be healthier and more productive later? It's such a novel idea! I think the natives (men) would get restless, but it's worth a shot. The 28 Days Lighter Diet also has different food, lifestyle, and fitness suggestions for the three phases of our menstrual cycles. I'm curious about what these are because I have only two phases now: two weeks of feeling totally radiant and carefree and another one or two weeks of cramps, mood swings, and/or extreme hunger. I wanna know how I can feel radiant all month long. I'm ready to make some changes. Do you take a day off for your period? Anyone else got badass PMS? 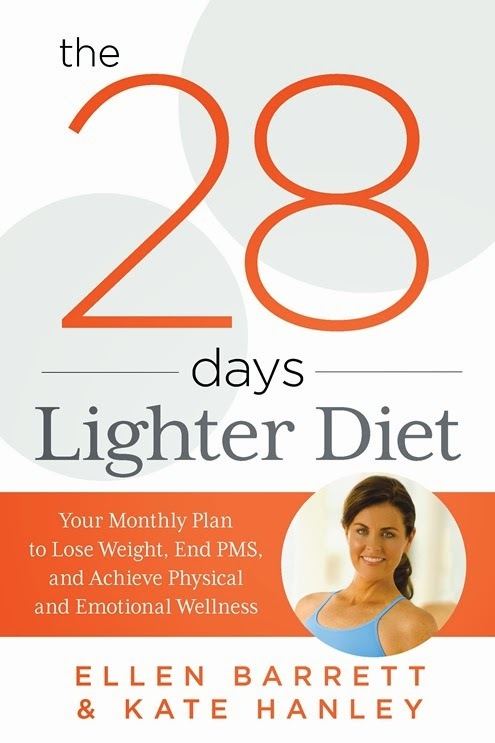 Get your copy of The 28 Days Lighter Diet on Amazon. I need this book in same boat as you Olivia!!! I'd be curious about what your experience is with it. I'll keep you filled in on mine. Since I've been working for myself I take the first day off. Although lately, my periods have been pretty easy. The PMS, however, has been something else, emotionally speaking. Interesting how that happens. it is interesting how that happens. my menstrual cycle is so different than it was just 2 or 3 years ago. I noticed major positive changes when I increased my water, fat, and protein intake, and decreased my carb and sugar intake. I'm gonna keep that in mind for myself. I feel okay with my sugar intake but my body seems to tell me I should cut back on the bread and eat more protein lately. Excited to see how this will impact my cycle once I actually get out of my head and listen to her.